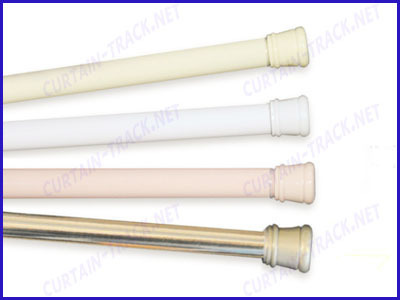 The material of telescopic pole is aluminium,aluminium alloy,mild steel,low carbon steel,stainless steel.The telescopic pole is used in bathroom,armoire,etc.The surface can be white,chrome,beige,pink. We accept OEM or ODM. Packing: one piece of telescopic pole per plastics,then 10 pcs into carton. We can also pack according to your requirement. We offer telescopic pole with very good quality and competitive price, we offer OEM and ODM.